"To err is human, but to persist in error (out of pride) is diabolical". These words are attributed to the Roman Stoic philosopher Seneca. 21st century America is a very different place from ancient Rome, although at times no less violent, or politically short-sighted, which is why the musings of ancient philosophers retain their timeless relevance. After another mass shooting in yet another school with even more children’s coffins being laid out, it is impossible not to be struck by the frequent recurrence of these tragedies - and by the persistence of our errors. 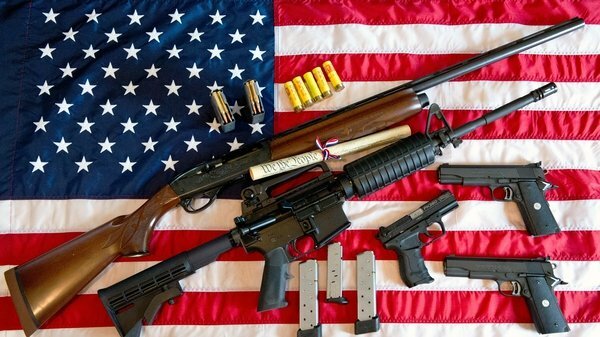 When it comes to analysing the responsibility behind mass killings, authorities in the United States predictably suffer from a collective blind spot, choosing to indulge in trite, clichéd and convenient tales of human wickedness and sin. In a society obsessed by the myth of individual responsibility, when things go horribly wrong, the temptation is always to find fault solely and exclusively in the individual malefactor. After the Parkland shootings, Florida governor Rick Scott went on record as saying that the attack that claimed 17 lives "is just absolutely pure evil". Declarations of this nature under the circumstances have become commonplace, being more banal than illuminating, but undoubtedly articulated with the best intentions at heart. Nevertheless, after the latest, preventable school shooting in America, all references to evil are unhelpful, even misleading. The idea of evil has been the subject of much philosophical scrutiny over many centuries. According to Christian theology, it is all women’s fault. Evil is attributed to Eve’s "original sin", which has subsequently defiled all of mankind. According to this story, evil erupts when our base instincts outdo the moral goodness intimated by God’s law. Secular debates on evil take a different line of approach, mercifully gender-neutral. For some contemporary philosophers, evil actions can be distinguished from merely wrongful actions by the presence of an extra quality. For Hillel Steiner for example, this exceptional trait can be found in the perpetrator’s pleasure in doing wrong. For others, like Claudia Card, evil is reasonably foreseeable intolerable harms produced by inexcusable wrongs, by which she means that a person commits an evil action when the desire for some object or state of affairs does not justify the harm they foreseeably inflict. Alternatively, some philosophers have suggested that instead of looking for that unique extra ingredient, evil can be explained in terms of something that is missing, for example standard moral sensibilities we expect everyone to have. And of course Hannah Arendt famously argued that there is nothing extraordinary about evil. We should not look for evil in demonic or monstrous motives, instead evil lurks in sheer thoughtlessness, even stupidity, which is much more common than we like to admit. From a philosophical point of view the debate on the nature of evil is captivating. In the right context at the right time, it can be of great consequence. But in the immediate aftermath of unspeakable suffering, involving the death of more helpless children, none of this is helpful. Another common strategy, often found accompanying tenacious declarations about irradicable evil, is to highlight the psychological defects of single individuals. This was the essence of the message we got from President Trump who, not for the first time after a tragedy of this nature and magnitude put the blame on a mental health issue. In the last analysis, a mix of evil plus mental illness always forms the standard explanatory cocktail for all instances of mass shootings, from a high-school in Florida (17 fatalities) to a concert in Las Vegas (59) and from a nightclub in Orlando (50) to an elementary school in Newtown, Connecticut (28). When addressing a traumatized and grieving community, any reference to evil or mental health issues is an expedient short-cut. It's an auspicious way to point the finger at a deviant individual for causing unnecessary, devastating pain and anguish. In the process of blaming the individual perpetrator, the rest of society is exonerated of any wrongdoing, including lawmakers and others in positions of authority. And for good measure, to reinforce this message, the FBI can also take some of the blame, as suggested by Donald Trump in a recently tweeted message: "very sad that the FBI missed all of the many signals sent out by the Florida school shooter. This is not acceptable". It is possible, in fact probable, that mental health issues play a part in any mass shooting. And such actions may or may not be classified as evil, depending on what one understands by this concept. But to exclusively blame an individual for causing an act of mass murder is disingenuous. There is also an element of collective blame, and responsibility. Mental health issues notwithstanding, if Nikolas Cruz not had easy access to an assault rifle, smoke grenades and multiple magazines of ammunition, we would not be discussing this tragedy. If the violence is systematic, recurrent and constant, then the problem is structural. Individuals are not blameless, but an individual person can only operate within a system. When the violence is structural, responsibility is collective, not personal. Instead of drawing attention to the evil within a person, or their mental deficiencies, it is possible to take a different approach. But it takes courage, something that elected politicians seldom exhibit. What occurred at Marjory Stoneman Douglas High School in Florida is nothing less than a violation of the rights of the child, and Nikolas Cruz was not the only perpetrator of such violations. Article 3 of the Convention on the Rights of the Child states that the best interests of the child shall be a primary consideration for administrative authorities and legislative bodies. Article 19 that "States Parties shall take all appropriate legislative, administrative, social and educational measures to protect the child from all forms of physical or mental violence, injury or abuse". Although the United States have yet to ratify the Convention, there are still lessons American lawmakers can learned from it, morally if not legally. Given the fact that this was not the first mass shooting in an American school - and that it will not be the lastunless radical changes are made - one wonders whether State Parties in America are guilty of not doing everything in their powers to protect school children from the next Nikolas Cruz. The primary addressees of human rights are the world’s governments and their elected politicians so failure to fulfil specific duties owed to rights-holders equates to human rights violation. In order to fulfil their duties, lawmakers have two radically different policies to choose from. One scenario has armed guards put on standby in every school in every corner of America and even arming teachers. This might work, but it would be impractical, very expensive and would turn areas of learning and play into military and potential war zones. 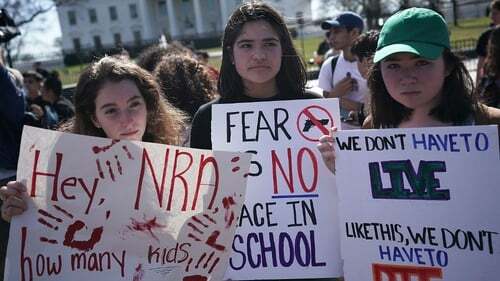 The alternative scenario is to listen to the survivors of these massacres and do the most logical thing in the present circumstances: if not to eliminate, at least to reduce access to guns, starting with automatic assault rifles, and have more stringent policies on who can acquire potentially deadly weapons. This would be easy, quick and relatively inexpensive. When the death of a child is preventable, persistence in error is unjustifiable. If the errors are repeated out of a sense of pride, motivated by a fear that a political U-turn would suggest weakness in one’s resoluteness, then the error is truly diabolical. But perhaps the biggest fallacy is always to look for blame in the unfathomable, unpredictable actions of individual perpetrators of violence, who are singled out for their malevolence, immorality, and instability. Nothing will change, and more children will die, until people recognise that there is always a collective responsibility behind every tragedy.